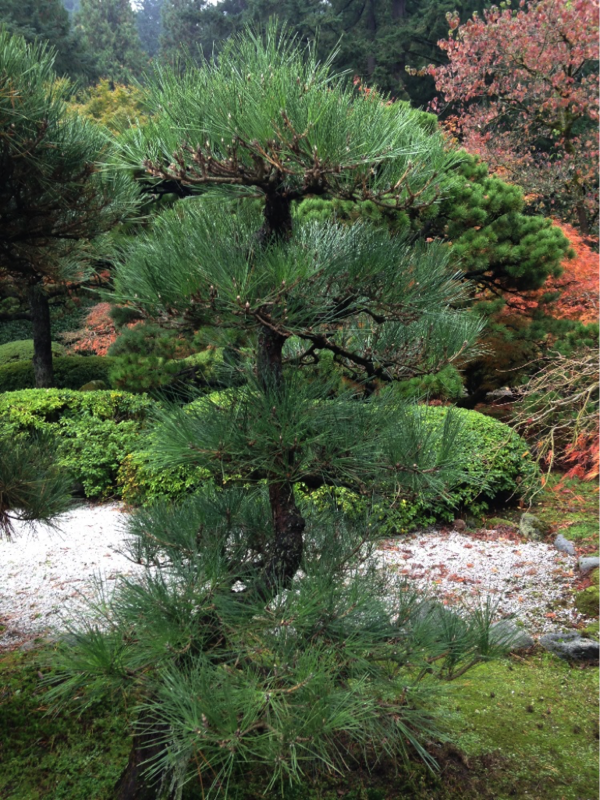 What a week at Portland Japanese Garden! In November, I had the unique opportunity to go to the Portland Japanese Garden for a week-long training session—and what a week it was! I arrived in Portland in early November, having endured scarily bumpy plane rides and torrential rains. The next day the sun came out and I started my weeklong training at the Portland Japanese Garden. 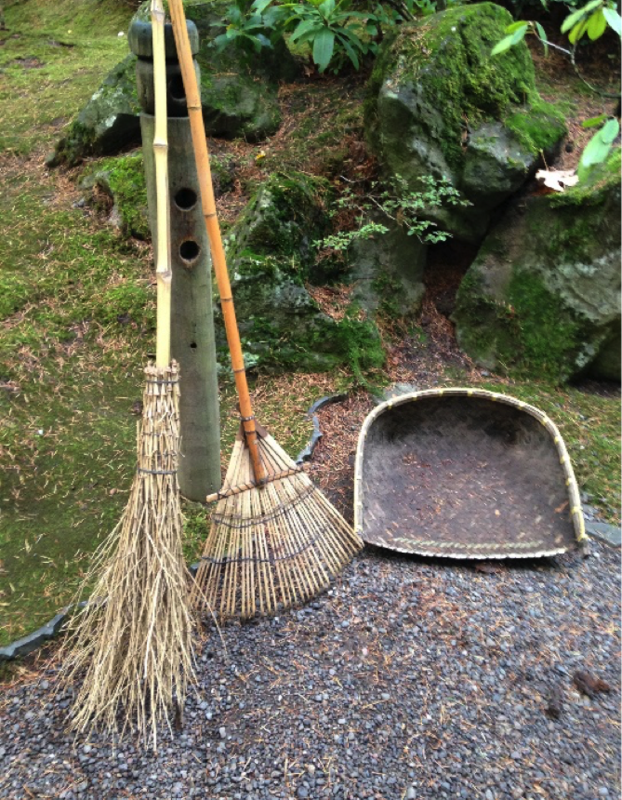 I spent the first day cleaning up needles and leaves from the beautiful moss that carpets the whole garden. I have difficulty growing it here in my moss garden, but in Portland, one gardener told me that moss will start to grow if you sit still for ten minutes. 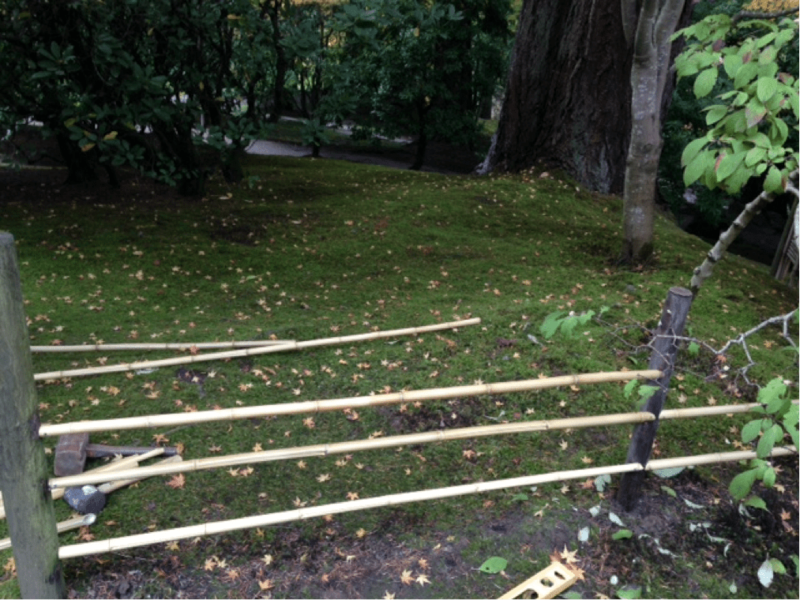 The tools I used to rake and clean were very efficient, but at the same time gentle on the moss. 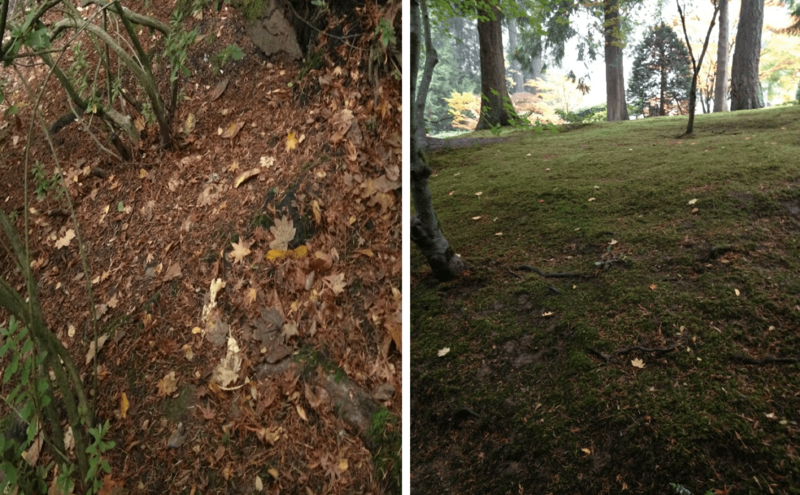 Leaf litter should be removed on a regular basis for healthy moss growth. The next few days were all about pine pruning. 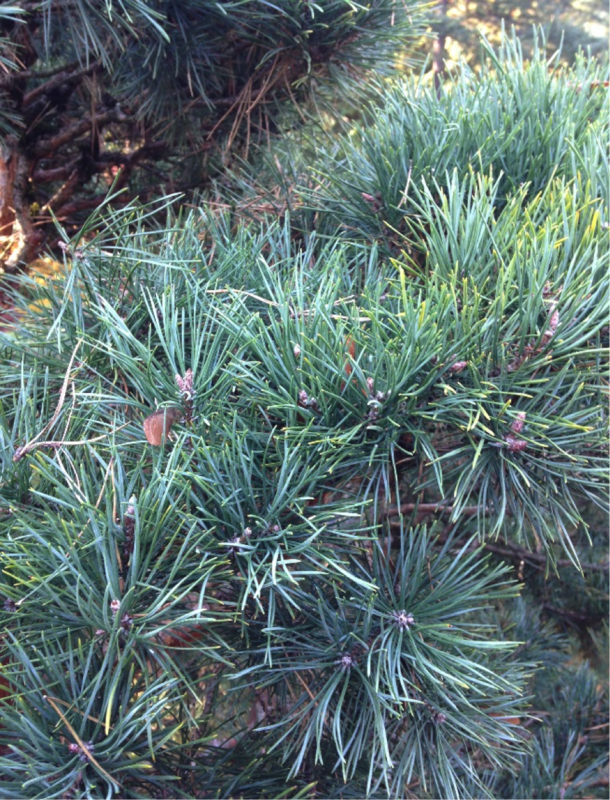 We began with a Japanese black pine (Pinus thunbergii), a native of the rocky, windswept coastlines of Japan. One of the two pines species most popular in a Japanese garden, the black pine is symbolic of the seashore and referred to as on-matsu (the male pine), because of masculine qualities perceived in the branching and needles. 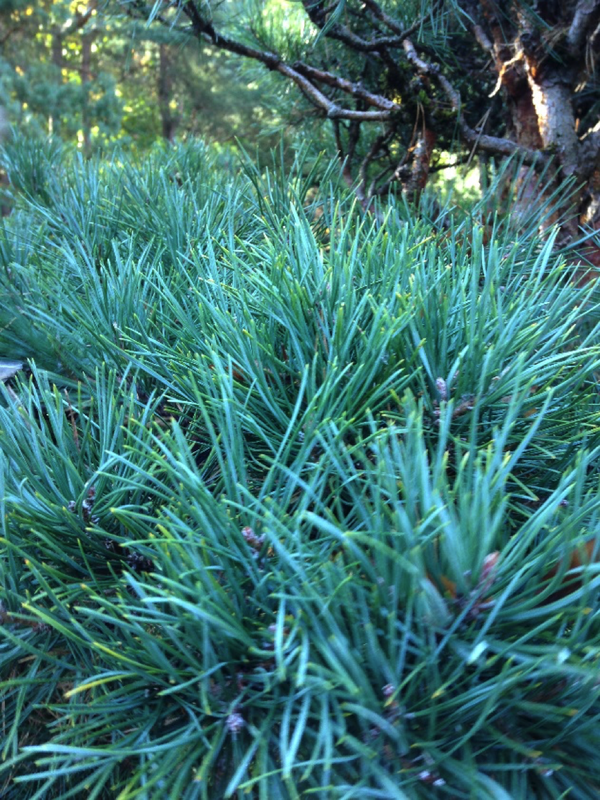 Although considered a tough species, this pine has soil nematode and fungal disease problems. It prefers free-draining, acidic soil and full sun to grow well. As these requirements imply, the black pine is not very suitable for our region. Notice how its shape is restored and more light can reach the inside and lower branches of the tree after pruning. In contrast to the Japanese black pine, the Scots pine (Pinus sylvestris) favors our climate and is the tree most commonly planted at the Chicago Botanic Garden’s Elizabeth Hubert Malott Japanese Garden. I had a chance to prune one of the few Scots pines at the Portland Japanese Garden, and noticed how the environmental conditions affect growth patterns and the shape of a tree. The pad needs thinning and shaping. After pruning, the same pad has more air circulation and light penetration. 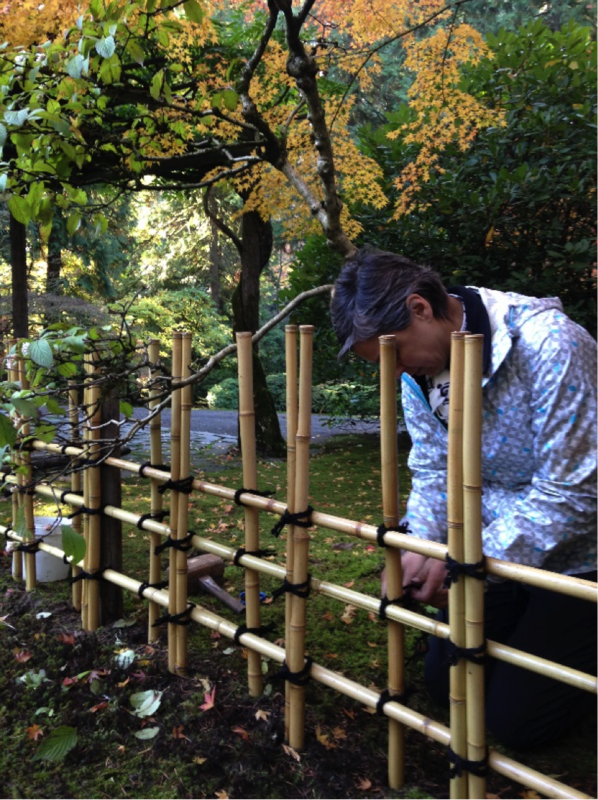 On my fourth day, I had the opportunity to learn how to build a bamboo fence with one of the expert gardeners. Fences and screens in Japanese gardens are primarily used to manipulate or block views, to form a perimeter, to partition garden areas, or to indicate a shift in garden elements, and to divide a garden into smaller thematic sections. The fence styles are numerous and diverse, utilizing almost exclusively natural materials: cut bamboo, wooden boards, and stones. Bamboo is by far the most popular choice of material due to its plentiful supply, texture, tonal qualities, and flexibility. Vertical supports in place, it’s time to tie ibo-musubi knots in the time-honored way. 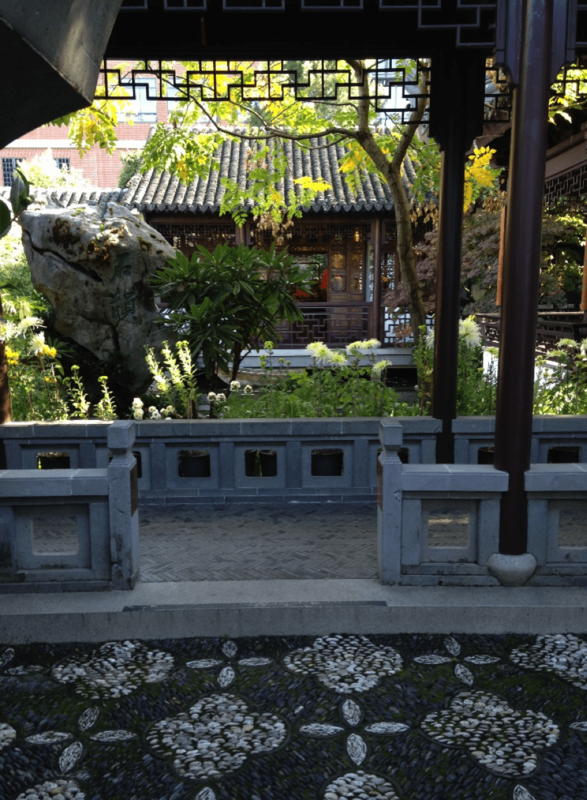 On my last day in Portland, I visited Lan Su Chinese Garden. 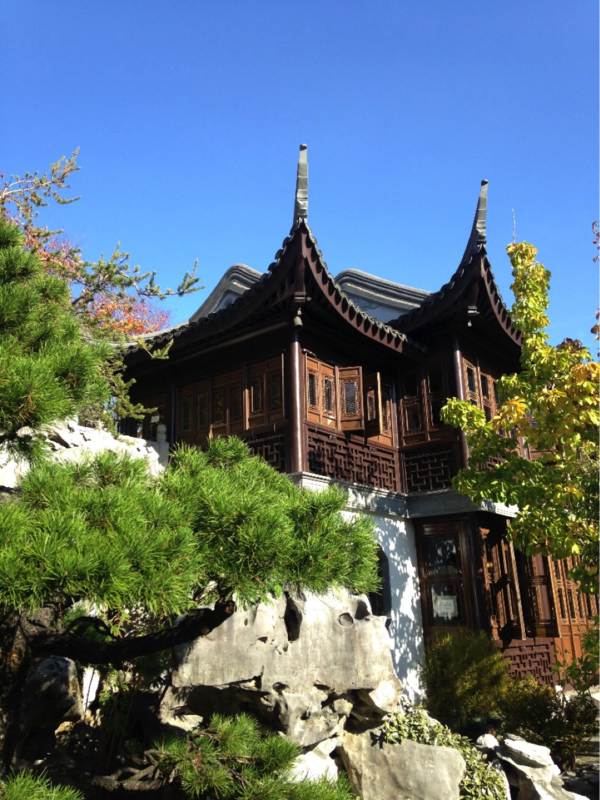 In contrast to a Japanese Garden where the sanctity of nature is the defining principle, here terraces, doorways, and pavilions take precedence and frame vistas, while stone courtyards mark transition points between the architectural environment and nature. This garden gives a wonderful sense of enclosed outdoor space. This skillful architecture testifies to the presence of mankind in nature. Working alongside and learning from accomplished gardeners, visiting local gardens and nurseries, and exploring the city made my week in Portland so memorable. I can’t wait to go back and experience the same gardens in a different season! 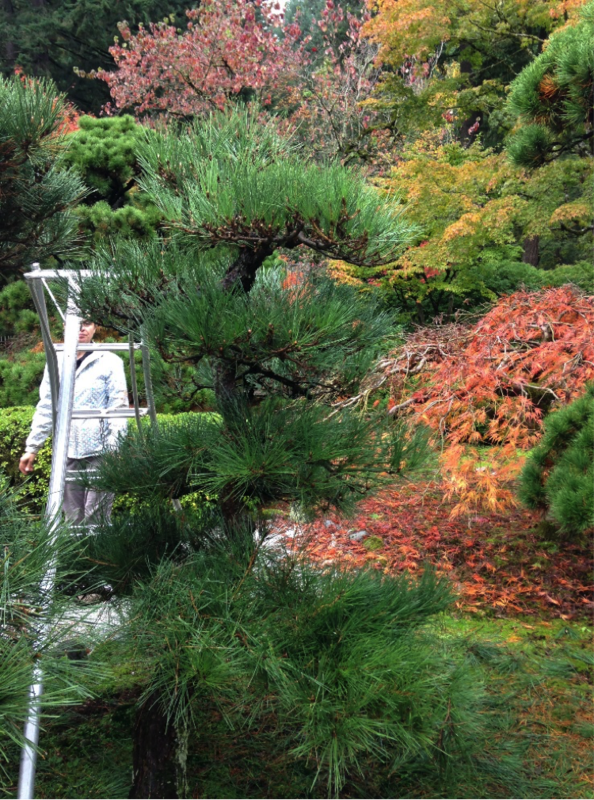 Learn more about Japanese garden care that you may see in our own Garden, such as candling (done in spring and early summer), and willow pruning (a late fall/winter project). Ayse, it was very interesting reading about your recent experience. You keep the CBG Japanese garden looking lovely.